American Knife Guild member, Eldon Peterson crafted this Windowed Back Lock folder. 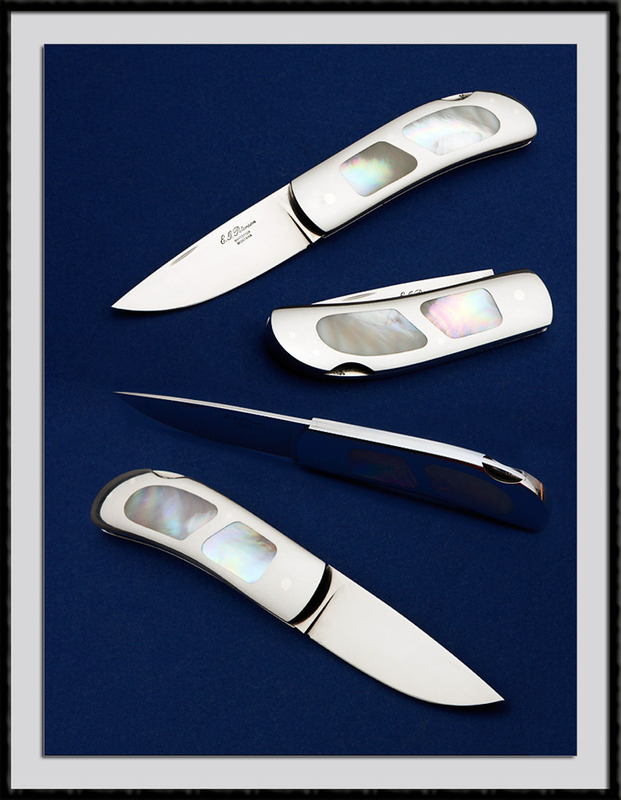 ATS34 Stainless Blade Steel, BL = 2 1/2”, OAL is 5 7/8", 416 SS frame, SS Back spacer with Mother of Pearl inserts. Fit & Finish are Top Shelf. Condition is Pristine.